One of the clients that I contract with on a regular basis has joined forces with another firm to host a new conference for the hospitality industry. The Hospitality Marketing Summit will be taking place in Denver, CO on November 17 – 20, 2014. The focus is on improving your businesses bottom line through technological innovation, marketing trends, and hands on tips and tricks. Check out the website for more information and mark it on your calendar. I’ll be there and would love to meet you in person! This past weekend I attended WordCamp Denver 2013. Since this is my local camp I was able to volunteer at registration. It was nice getting to greet everyone first thing in the morning, and to put faces with names of several people I interact with online. The organizers also invited the volunteers to enjoy lunch in the speakers and sponsors room, so that was a nice bonus! 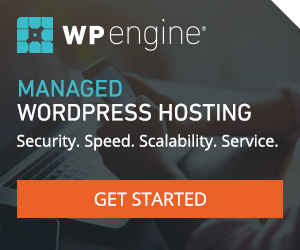 I sat at a table of about 10 people and via our course of talking someone suggested we go around the table and introduce ourselves and how we work with WordPress. It was a great way to get to meet people and sparked some interesting discussions. I definitely want to remember to do that again next time I’m in a group setting. The presentation that I enjoyed the most was Breaking up with *AMP by Luke Woodward of 10up. It was a great introduction to Vagrant and great examples of how to set it up initially. The Varying Vagrant Vagrants tool seems very impressive, and I love that it is open to the public since it is such a great example of giving back to Open Source. Even though I haven’t put this tool into my daily use, yet, I really enjoyed learning about it. 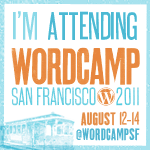 Hopefully all the presentations will make it up to WordPress.tv and you can watch if you are interested.